Click below to view the full results for the April Exchange. Please note that all listed prices reflect the hammer plus buyer’s premium. If you are interested in selling your jewelry or watches in an upcoming auction, please contact our office to schedule an appointment with one of our specialists. We are always happy to assist. Fine Jewelry & Watch auction on April 11, 2019 at 1PM EDT. Featured Lot Shown: An Art Deco Platinum Diamond Bracelet (achieved $30,000), A Diamond and Emerald Ring (achieved $43,750), and a Rolex Oyster Perpetual GMT-Master Ref. 1675 in Steel (achieved $27,500). NEW YORK, NY—The Fortuna Exchange auction took place Thursday, April 11, 2019 at 1PM EDT, offering a large assortment of iconic fine jewelry and timepieces. 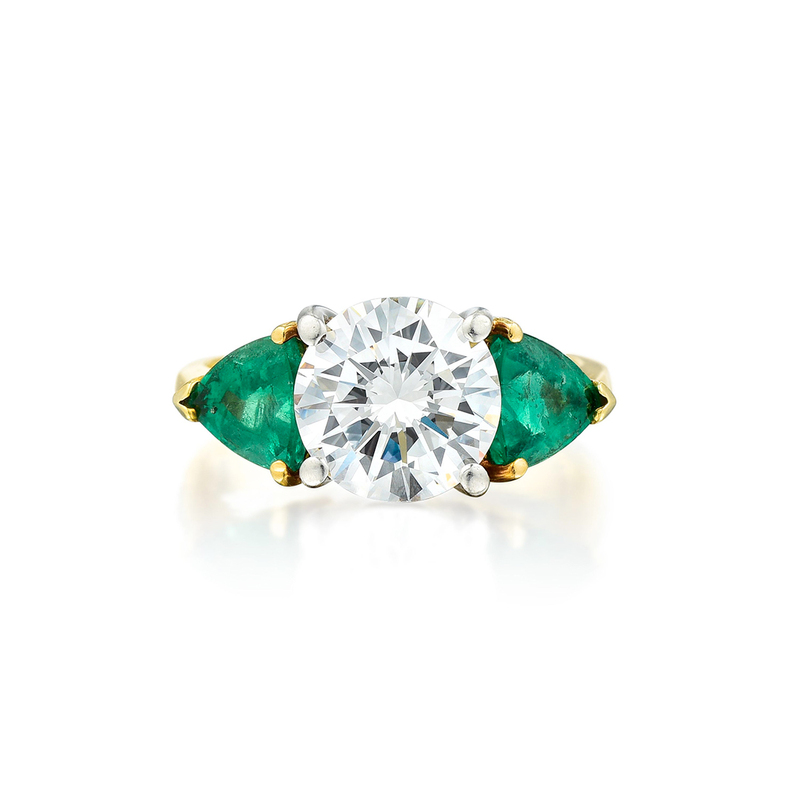 The April Exchange collection was led by a spectacular 3.01-carat Diamond and Emerald Ring (Lot 84), achieved $43,750 against a pre-sale estimate of $35,000–$50,000. 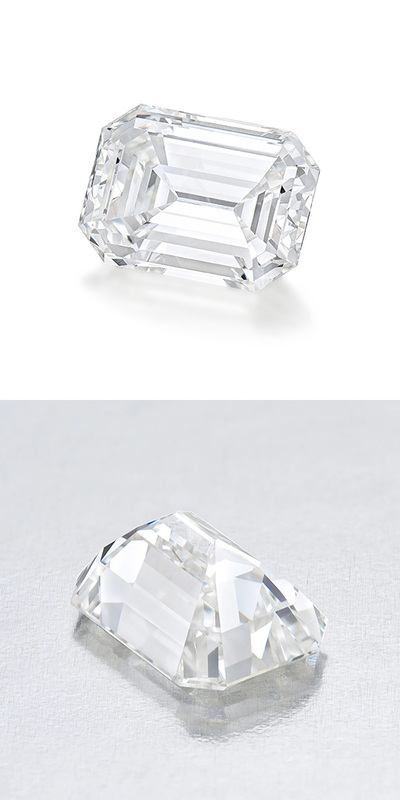 The center stone features a dazzlingly colorless diamond with VS2 clarity, and comes accompanied with a GIA report confirming its characteristics. 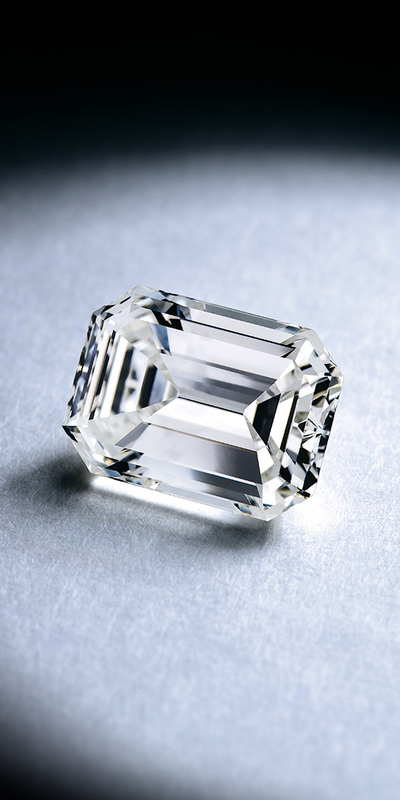 The sale also featured an abundance of quality diamond jewelry, including a 3.90-carat H VVS2 Emerald-Cut Loose Diamond (Lot 119), which sold for $46,875, surpassing a high estimate of $40,000, and an Art Deco Platinum Diamond Bracelet (Lot 44), which achieved $30,000 against a high estimate of $25,000. 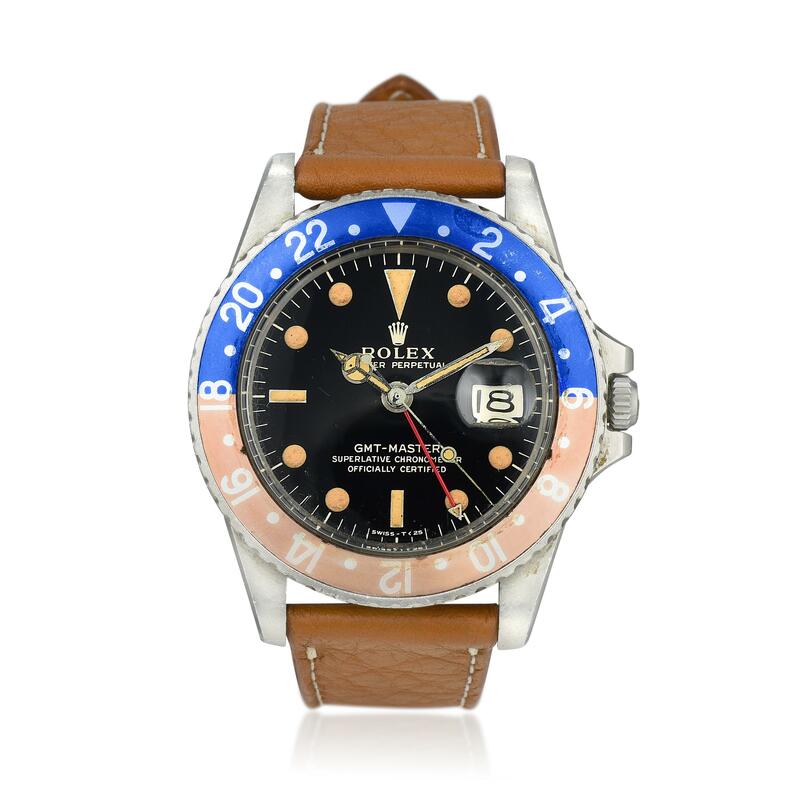 In watch highlights, an exceedingly well-preserved Rolex Oyster Perpetual GMT-Master Ref. 1675 from circa 1966 was offered for sale. One of Rolex’s most recognizable designs, the GMT Master was originally produced in 1954 as a result of the collaboration between Rolex and Pan American Airways. Pan Am needed a “tool” watch for pilots to track multiple time zones on transatlantic and transpacific routes, and the iconic rotatable blue and red “Pepsi” bezel became the perfect solution to track secondary time zones. The present example, produced in 1966, is a beautiful specimen with its original dial with the Rolex logo printed in gold relief and matching gilt hands. The dial is immaculately preserved, retaining its original glossy finish without any marks or imperfections. This one-of-a-kind timepiece achieved $27,500 at auction, flying by its starting bid of $12,000. In 2019, Fortuna introduced a new auction offering called the Fortuna Exchange, a monthly sale series featuring fine jewelry and watches from the celebrated makers across all style periods. The Fortuna Exchange was created to provide our sellers greater opportunities per year to sell their assets on a global platform, without the constraints or limitations of consigning their pieces to seasonal sales that are few and far between. With the addition of the monthly Fortuna Exchange sales, alongside our larger signature sales that occur biannually, we are pleased to offer our clients a year that is abundant with rare and exciting fine jewelry and watch offerings. If you are interested in consigning to the Fortuna Exchange, please note that your jewelry or watch must be submitted at least a month before the date of the sale. For more information on selling at auction, click here. We are always accepting consignments for upcoming auctions, whether it is a single item or an entire collection. The next opportunity to consign is for one of our signature sales, Exclusive Jewels, which will take place May 23rd. The cutoff date to submit your fine jewelry or watches is Wednesday, April 17. Please contact our office or fill out our web form for a complimentary auction appraisal. 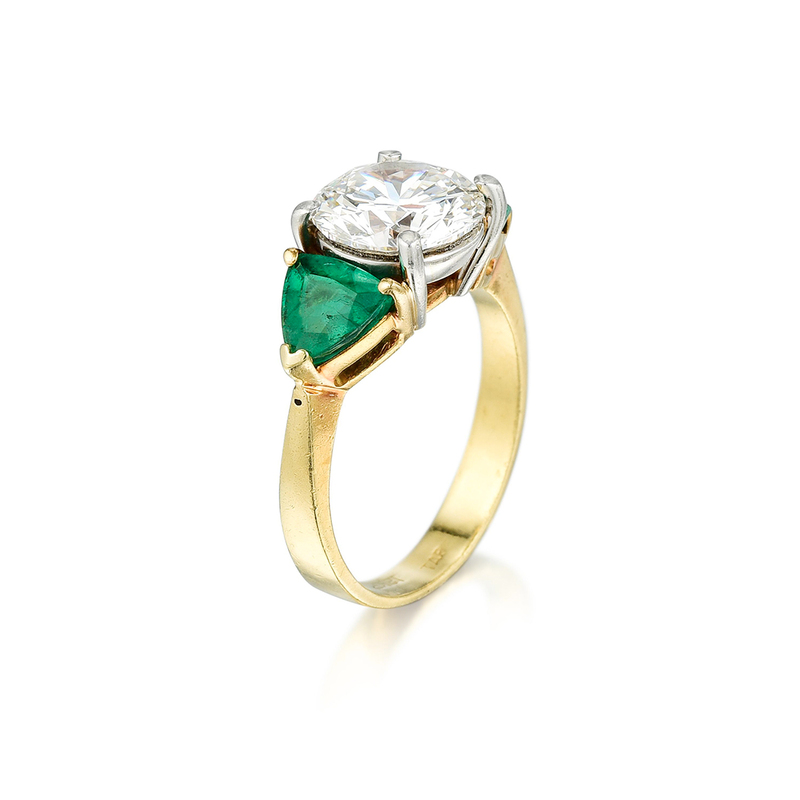 Our specialists look forward to helping you understand the value of your jewelry and watches.